I bought my condo through Barbara and engaged her for the selling 8 years later. She sold my place in two days. Before final walk thru, she put me through my paces to be sure I had everything the way the buyer expected to find it so no snags happened on closing day. She totally knows her business. I would engage her again in a heatbeat!! Barbara's knowledge, experience, and dedication to making a successful sale was unsurpassed. She also goes above and beyond by identifying contractors to help get the property ready and by doing some beautiful staging at no additional cost. We hired Barbara to sell a home in Leisure World, Maryland. She was always prepared, kept us up to date on comparables, was always available by email, phone or text. Since we do not live in the area, she was very helpful in "keeping things moving" for us. In addition to her excellent professional skills, she is very pleasant. We would not hesitate to use Barbara again if needed. From the first phone call to until long after closing, Barbara was there with me every step, every day, every decision making, to guide, to advise, and to ensure the process was the most pleasant I could ever experience and the home was the best for me. She is the one for your every home purchasing experience. Barbara is a "go above and beyond" realtor. We were very lucky to have chosen her to sell my mother's condo. She had excellent resources at her finger tips to address needed refurbishing, as well as enough experience to prevent us from going over board. We benefited from her knowledge of the Leisure World market and how to work with various people within the community. She is super responsive. Barbara is the type of person who will run to pick something up at Home Depot, which we really appreciated since we are out of town. And best of all, she sold the condo for a good price! I highly recommend her. My wife and I recently experienced the smoothest house closing imaginable. It was smooth because Barbara Michaluk is consistently outstanding in all five skills listed above. Our work with Barbara began in 2011, when she was very generous with her time even though she knew we were not nearly ready to buy. She spent a lot of that time learning our needs and preferences, and we learned that we would come right back to her when we were ready to buy. Her advice in negotiation was pitch perfect, and we quickly reached agreement with the seller. With the contract signed, Barbara went into high gear to make sure the closing would take place on schedule, funds needed would be on the table, and all questions of ours, as well as those of the seller, were answered with no room left for misunderstanding. Her follow-through on detail to the end made the closing such a positive experience. She is a credit to the profession. When it comes to real estate in the Leisure World community, Barbara Michaluk has the knowledge and experience needed to make the sale. She knows the market and the competition, she stages the property, she frequently checks the property, and she takes a personal approach, especially when it comes to the elderly. For my mother, we were not always around when paperwork was addressed. Barbara would visit mom in the Sunrise Assisted Living facility and sit down with her to get paperwork signed. She also took mom to settlement and would have driven her to the bank to the deposit the settlement proceeds, except for the fact that we were able to do a wire transfer. In summary, Barbara felt like extended family and we knew we were always in good hands. This is second time I've had the pleasure of Barbara being my real estate agent and I highly recommend her services. 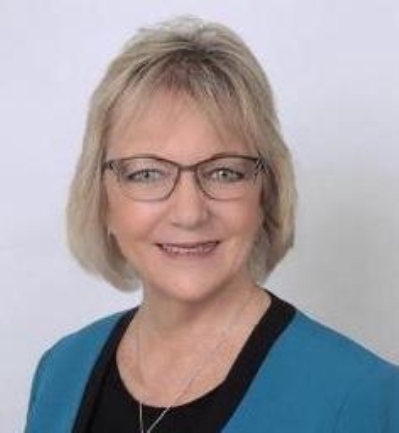 Most recently Barbara helped me sell a home and I had complete confidence in her handling of this sale due to her integrity, knowledge and competence in the real estate field. The whole process went smoothly and I was most pleased with the outcome.